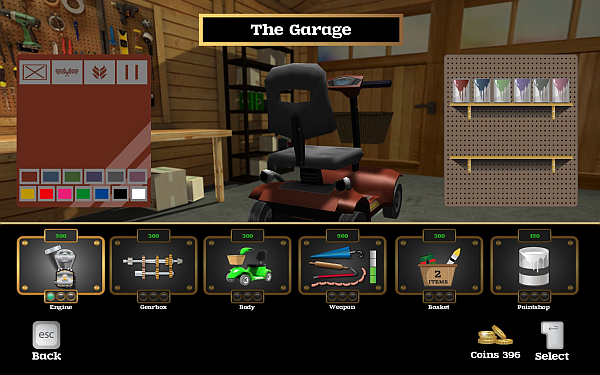 Coffin Dodgers is a new kart racing Steam game by Liverpool-based UK indie developer Milky Tea Studios. It saw an official release in July, after being greenlighted by fans, and then spending four months in beta/early access stage. You can visit its Steam store page for more pictures, videos and user reviews: http://store.steampowered.com/app/320540. Disclosure: A review copy of Coffin Dodgers was provided to Between Life and Games by the developer. All screenshots in the article have been taken by me. 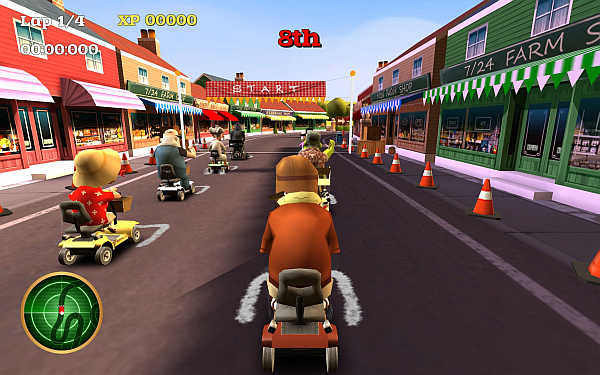 Coffin Dodgers is a dark comedic kart racing game set on the streets of a 3D retirement village. 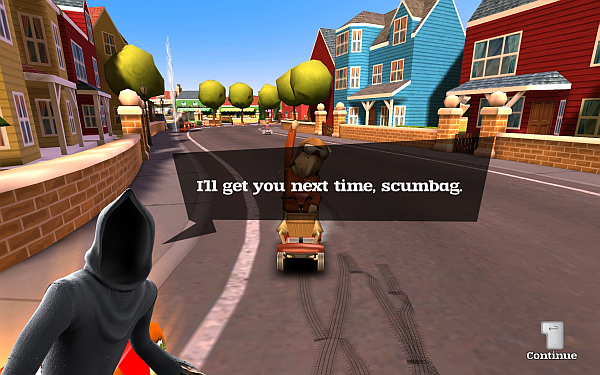 You have to help save one of seven elderly retirees by racing around the various tracks in on a “pimped-up” mobility scooter, and ultimately defeating the Grim Reaper, who decided to give these old folks a chance to save themselves in a fit of arrogance. 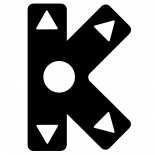 The game is aimed at people who enjoy racing games, and particularly kart racers like Mario Kart. Besides the storyline, there are also quick race and “exploration” modes. 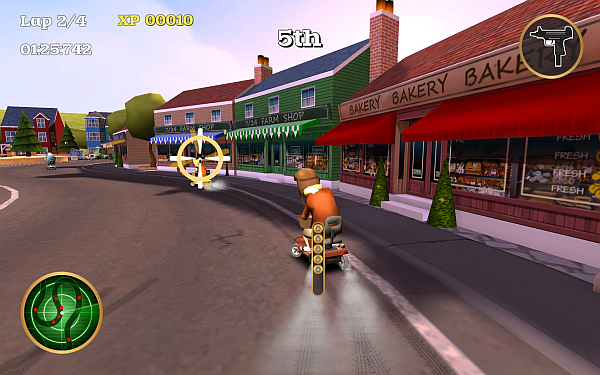 During the race, players can actively battle and knock opponents from their scooters – with the help of their canes, or the various pickups available on the track. Coffin Dodgers is well done, and offers what one can expect from a kart racer, plus an interesting sense of humour. 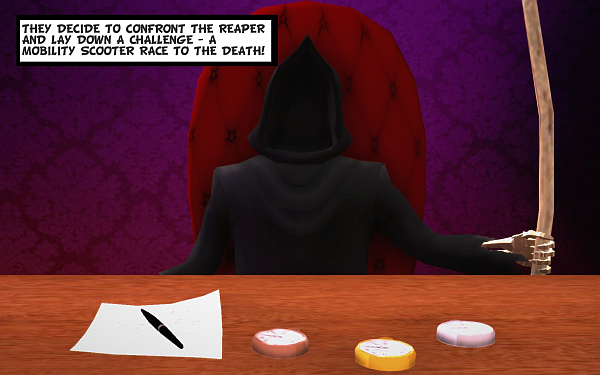 The theme of the game is its most outstanding quality – race participants are the game’s elderly characters, plus the Grim Reaper who will claim their souls if he beats them in the series of races. Saving however few years remain of your life as a retiree is pretty good motivation to become a great racer. Things only get grimmer as the story progresses – after the first stage, one of the elderly participants dies, and the Grim Reaper raises him as a zombie to participate in the next races, too. To add insult to injury, zombies are much faster than the original versions. 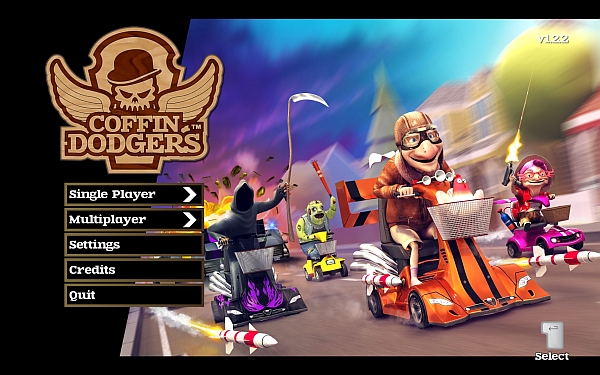 Coffin Dodgers is by no means a big game – it has the standard kart racer modes – story, quick race, local and online multiplayer, plus an arcade-like mode where you wander around town, and you need to locate items to win more time and try to last longer. The game’s whole world is the retirement village the characters live in, but the different stages in the story feature different themes (town, farm, graveyard, etc. ), and each stage has several different tracks. There are several pickups – turbo booster, machine gun, rocket you can launch at opponents, shield, an electric blast you can use to take down anyone around you, oil spill… Maybe one or two more I can’t recall right now. Everything in this game is done in a standard way, one you have seen in kart racers elsewhere. Instead of trying to invent the wheel, the team has focused on executing a tried and true formula perfectly. And, to a great extent, they have succeeded. Gameplay is smooth and there are no obvious issues where stuff that happens makes no sense, the Unity engine’s capabilities in the physics aspect are also well utilised. The game is simply quite solid overall, I appreciate the team’s dedication to releasing a working product over adding many features that may or may not be able to attract players’ interest. While I have not beaten the game, it seems that the difficulty curve works fine. I am by no means very good at kart racers, but was able to easily take second place at each of the three tracks in the first stage (Death is too damn fast). In the second one, though, things got tougher, and I was barely able to keep in the top 5. I guess it makes sense for a first-time player to pass the first stage with ease, but have difficulty in the second. Furthermore, bottom 2 were getting killed now, as opposed to the last racer only in the first stage. If you fail a stage, it’s not a game over, you start it over (from the first track). Once you learn the tracks, and if you regularly upgrade your scooter, it shouldn’t be too hard to do well. You upgrade by spending the coins you earn during stages. You also earn XP whose purpose I’m not sure of. One thing I found odd was that one of the ways you earn XP is by running over small objects (like cones) on the road… You ought to get punished for that, rather than rewarded, I thought. 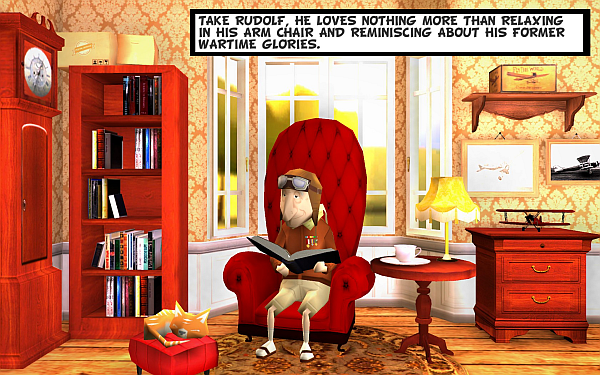 The wartime pilot Rudolf is somewhat of a mascot for the game – he’s featured most prominently in cutscenes, and seems easiest to like among the seven elderly characters. But some of the others also feature hilarious designs. The graphics as a whole are in line with the game’s sense of humour, and are appropriately stylised, pretty in a very cartoony way. The music also tries to keep with the overall theme, although I can’t say I was particularly impressed. It works, at least. The game runs smoothly on anything that isn’t completely ancient, having relatively low requirements. Coffin Dodgers is a small-scope project, but done very well, with considerable attention to detail. If you like kart racers, you will find that this one executes the formula quite well. 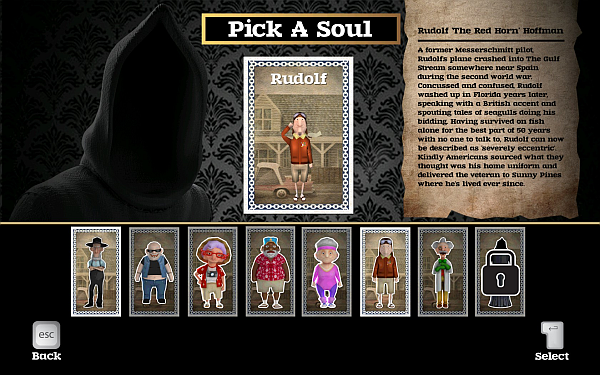 Its slightly bizarre sense of humour, completely reflected by its visual design, is a nice bonus. Story mode provides challenge, and there are local and online multiplayer modes for fun with friends, too. The asking price isn’t that high to begin with, and during sales you could really consider this game. This actually looks really fun from the trailer, I might pick it up when it goes on sale.